As a new year approaches and with it thoughts of possible races to partake in, new trails to explore and adventures to be had I reflect back on this past running season. I feel from a running standpoint it was a successful one for me as I took on and completed more challenging races then my previous year. As I hope to continue this trend in 2016 and improve I need to work on all aspects of my running. One of the things as a trail runner I encounter plenty of is mountainous terrain. In fact many ultra races are established within this type of environment so it pays for one to be properly prepared. Although I’ve completed seven ultra races ranging from 50k, 50 mile and 100k distances these last two years I am still a newbie to the sport with much to learn. In his article Training to walk for ultra, trail and mountain running , Ian Corless explains why walking it is not only o.k. and not a sign of weakness, but should be a part of any runners racing/running strategy. For those who have many years of racing experience under their belt I feel they still might get some new insights or at least reminders on how to approach, plan for, train and execute hill climbing. I intend to try and employ what he speaks of as much as possible into my running as so should you. 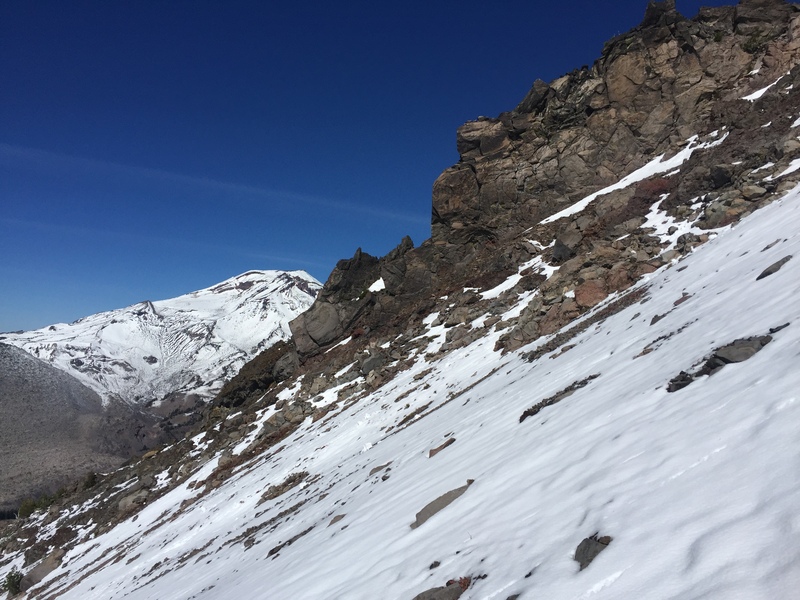 Climbing Broken Top during a training run. This entry was posted in Ultra marathon and tagged Hills, mountain climbing, racing strategy, training, Ultra marathon on December 27, 2015 by Saulius.